Are you childfree, thinking about being childfree, know someone who is childfree, or just want to learn more- well you’ve stopped at the right page. Below are websites, blogs, articles, and groups all pertaining to the childfree lifestyle. 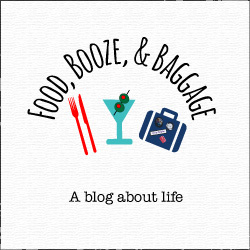 If you have a blog or website you would like added please contact me at foodboozeandbaggage@gmail.com; the internet is a huge place 😉 Or, if you want to be taken off, same drill. Below is a button if you want to display it on your blog and link back to this page. If you would like to share your story on the childfree decision I would love to start some guest features on the topic, so please contact me! Adults Only: Why Is Being Childless By Choice So Hard For People To Understand? YesChildfree: Skip the awkward “do you want kids” date conversation. A dating site dedicated to the childfree…YAY!